There are countless books, articles, and videos about the importance of being mindful and living in each moment. Authors before me have written about the many benefits of being in the now, not fixating on the past, or worrying about what the future holds. All of that is sage wisdom and valuable advice. However, as a father of three young children, I have come to realize that as a youth-development professional, each and every time I’m working with children is a day, a program, a moment, that they will never get back. As a result I (and we) owe them the absolute best we have to offer—each and every day! Parents trust us to provide the best experience for their children. And, in many cases, they choose to send their child to a program, join a team, or attend a camp at the expense of other priorities. When that child arrives at a program, they (rightfully) expect the best. So, even if it’s the first time for the program, we owe it to participants to do our best. Of course, we all make mistakes, and performing at the highest level takes practice (more on both of those shortly), but it’s never okay to go into a program already excusing a subpar effort because someone is new. Winning coaches never go into a game without having first thought about the best strategy (aka a game plan) for their teams. And, likewise, it is never okay to go into an activity without a thoughtful plan. Good programs just don’t happen. That’s not to say we need to have every moment of every day planned out, but we must know what the goals are for the participants, what we plan to do to help get them there, and have at least a few contingencies ready if things don’t go as planned. Realizing we don’t get “do overs,” and that having a game plan is a fantastic start to elevating all of the youth programs, the next step is to be reflective, recognizing that each meeting, practice/game, and session presents another opportunity to make a program better. I always recommend that providers start by encouraging (requiring) staff members to keep notes after each and every experience with participants. Ask them to write down what went well and what didn’t. If getting started is hard, what can be done to make the transition easier? Did a certain activity or drill not work? Why? Was it not a good match for the participants’ skills, not well explained, or are there just regular growing pains? By not waiting until the next session or season, we will be doing our part to ensure that participants have the best possible experience. Participants are most likely to remember their first and last impressions. By the time a program comes to an end, we can’t do anything to change the first experience, but we can ensure that when the group meets for the final time, everyone has had a great experience. Even if losing a playoff or tournament game is the last experience, a well-planned send-off or celebration can soften the loss and remind everyone of the good times that were shared. No matter what the program, leaving participants with a positive memory, and a tease for a future positive experience (don’t forget to sign up now, spaces are limited, etc. ), will go a long way in ensuring that the programs are in demand. After wrapping up a successful program or completing a perfect season or having a great summer of camp or finishing a fantastic class, there is always room to improve the plan. This in itself is not news, but what I see, more often than not, is that program providers don’t do a great job of gathering and honestly analyzing information. Of course, a paper or web-based satisfaction survey is a good tool, but it is not the best source of information when it comes to improving programs. The best place to start, the majority of the time, is to look at the program notes and systematically analyze what worked and what didn’t. Is there something that participants frequently struggle with? Are there times during the program that are more challenging than others? By reflecting on regular notes (including those of staff members), one can more easily identify the need for improvement. While this type of reflection can at times be difficult, it is the only way to genuinely set in motion plans to ensure the next season or session is better than the previous one. No matter how good a program is, if changes (at least minor ones) are not made and there is no regular and honest reflection, programs will get stale. 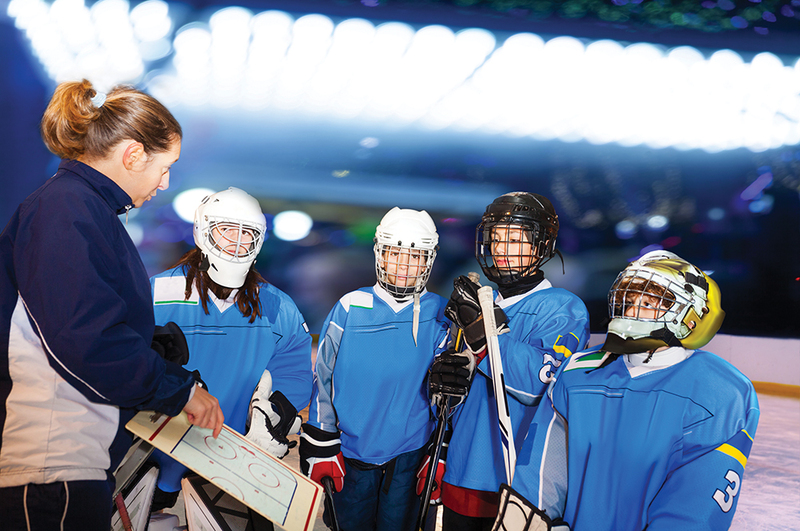 Great teachers change lesson plans, great coaches update plays, and great youth-development providers regularly change how they deliver programs. At times, the change can be something as small as tweaking a schedule or a few activities. At other times, it is a good idea to shake up the staff team by adding or changing a member. And, at other times, it might be valuable to fully rework (and rebrand/re-promote) a program if it isn’t working, but still has identified potential. Regardless of how we do it, I cannot stress enough that we owe the children and families who choose to participate in our programs the very best we have. Of course, we’ll never be perfect (which is also a point we should all remember), but by consistently evaluating, re-evaluating, and making adjustments to our programs, we can and will move the needle closer to meeting each of our programs’ goals and mission.